This is a copy of an article written by Dana Scott, Editor-in-Chief of Dogs Naturally Magazine. It explains why we are taught to revaccinate our pets annually and the history of this practice. I hope you will find it informative. I’ll preface the following article by clearly stating that I’m not a vet. I didn’t attend veterinary college and it’s certainly not a profession I aspire to. I’ve got six years of university and two degrees under my belt, so I know the kind of debt that vets enter into when they graduate. I also know that the vast majority of them make very little money for the amount of education that goes into their career. But I’m a dog lover and I do like to think that I’m a fairly intelligent and rational person. I don’t want to see dogs get hurt and vets certainly don’t want to see them get hurt. I truly believe that. So what really baffles me is why vets continue to use vaccination protocols that are harming our dogs. 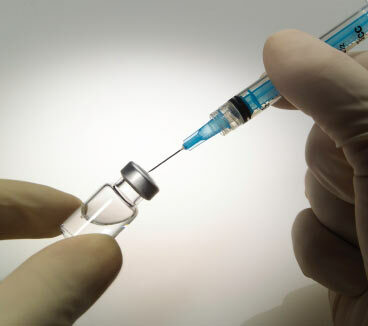 Because duration of immunity (DOI) studies are expensive, the vaccine manufacturers tested their vaccines for a short period of time and subsequently put them on the market with the suggestion of vaccinating annually. But nobody really knew how long those vaccines would last because nobody went to the trouble to test them for more than a few months. So vets got into the habit of vaccinating every year. During this time, a young scientist had an epiphany. Dr Ronald Schultz PhD wondered why animals were vaccinated yearly when dogs and cats that had recovered from natural infection to distemper and panleukopenia were protected, even years later. His own children weren’t vaccinated into adulthood, so based on these observations, he published “An Ideal (But Not Proven) Immunization Schedule for Dogs and Cats” in 1978 with a fellow scientist. In this report, they recommended a series of puppy and kitten shots, followed by revaccination at one year, then revaccination every three years. From the 1970’s on, Dr Schultz and his colleagues performed study after study. They tested well over 1,000 dogs and used all of the major veterinary vaccine products. They measured immunity with both serology (by measuring circulating antibodies) and challenge (exposing the dogs to the disease). And he did in fact prove that those vaccines were extremely likely to last for the life of the animal. Dr Schultz and his team found that the distemper vaccine produced a minimum of 7 years DOI with challenge and at least 15 years with serology. This doesn’t mean that the vaccines stop working after this period of time – these numbers reflect the number of years after vaccination the dogs were tested. Theoretically, if the dogs lived to 30 and were tested at that time, they might still be protected. His research also showed that parvovirus would protect dogs for at least 7 years with challenge and 9 years with serology. The other common part of the core vaccines, adenovirus, was also shown to protect for 7 and 9 years respectively. The results were basically the same for every vaccine he tested and for every dog. And then he showed that dogs that were vaccinated just once, after the maternal antibodies were gone, were similarly protected when challenged. Dr Richard Ford, Professor of Medicine at North Carolina State University, was a part of that 2003 task force. Afterward, he said that the decision to recommend a three year revaccination schedule for core vaccines was a compromise. So, when presented with pretty convincing evidence that vaccines lasted for a lifetime, and certainly as long as seven years or more, the AAHA was only willing to move from annual revaccination to triennial. Although the AAHA didn’t appear to be much interested in admitting that they might be over-vaccinating dogs, the 2003 task force prompted all of the major veterinary vaccine manufacturers to complete their own studies showing a minimum three year DOI on the core vaccines. So now the vaccine manufacturers could state on the label that the vaccines would last at least three years, not one. Things were moving forward, albeit at a snail’s pace. By 2006, vaccine labels had changed to reflect a longer DOI and the AAHA released their revised Canine Vaccine Guidelines. These guidelines were updated again in February 2007 to update new information about parvovirus and distemper vaccination. In the meantime, vaccines were starting to be looked at with a much more analytical point of view. Not only was the AAHA slowly responding to Dr Schultz’s work, but some vets started taking a good look at why over-vaccinating wasn’t a very good idea. Dr Schultz again outlined this for the vets in 2007 and began compiling a long laundry list of problems that vaccines could case, ranging from small bumps all the way to life threatening diseases and cancer. Finally, in 2011, in response to Dr Schultz’s continued repetition of his studies showing lifelong immunity, in virtually every dog, with virtually every core vaccine, the AAHA once more updated their Canine Vaccination Guidelines. Five years? Now where did that number come from? Yet in spite of this, eight years later, they changed their recommendations to three, maybe five, years. Why did they say immunity from vaccination is lifelong, yet they continue to recommend revaccinating every three, maybe every five years? WHY ARE THEY SO WISHY-WASHY ON THE TOPIC? As much as it chagrins me that the veterinary associations are woefully slow to catch up to Dr Schultz’s research, the really frightening part is that the recommendations are just that. Vets are free to vaccinate whenever and however they wish. The veterinary associations only make recommendations; there are no repercussions if vets choose to ignore them. The good news is, this freedom allows vets to vaccinate less often than every three years. The bad news is, it leaves them wide open to vaccinate yearly too. And what does Dr Schultz think of giving vets the ultimate authority to make vaccine decisions? So vets might not be all that prepared to make fully educated immunological decisions, yet the AAHA and the vaccine manufacturers are giving them full rein to do just that. So the only person who gets to decide how often pets are vaccinated also has a financial interest in how often they’re vaccinated. Not every vet would think of profiting from over-vaccination, but for those who might, there’s nothing to stop them. Unsuspecting pet owners are almost completely unprotected from those vets who choose to revaccinate with schedules lacking scientific backing. In most states and provinces, it’s virtually impossible for pet owners to sue for vaccine damage, even when vaccines are given against label and veterinary association recommendations. Most pets are only valued at a couple of hundred dollars and, in most states, pet owners are unable to sue for pain and suffering. Dr Schultz just might be right. Because it sure looks to me like more than a few vets are indeed ignoring his work. While many vets are happily adopting the new guidelines and some are following Dr Schultz’s “one and done” recommendation, there are still vets who wholeheartedly advocate annual revaccination. And we know that’s not happening. HOW MANY VETS ARE WE TALKING ABOUT? So, we decided to google “annual vaccine dog” to see what vets had to say on this topic. And first in our search was a large company that has several hundred clinics. And they state on their website that most vaccines need to be given annually. 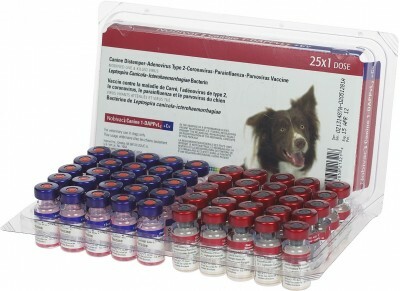 That one company alone vaccinates tens or hundreds of thousands of cats and dogs annually. Without any science to back their schedule. Page after page came up, showing even more vets who were still vaccinating for the core vaccines yearly. By our estimates, and one pharmaceutical company’s, more than half of vets are still vaccinating annually. Now I’ll be the first to admit that I can get a little abrasive when vets push back on this topic. I get a little irate when vets or even pet owners come onto our website and Facebook page and say we’re full of hooey and that pet owners should check with their vets, instead of getting their information from somebody who isn’t a vet. OK, so that would make sense in an ideal world. Because, theoretically, vets would have access to information and research that somebody like you and I wouldn’t. They would have a better grasp of immunology and they would have access to Dr Schultz’s work. They would be able to make “scientific” decisions whereas you and I presumably can’t. Theoretically. But here’s where I get upset. There’s no scientific evidence for the vaccination schedules vets are using today. This is why Dr Schultz calls annual vaccination an “indefensible practice.” It even states this in every copy of the veterinary textbook, Kirk’s Current Veterinary Therapy XI (Small Animal Practice), right on page 205. So, on one side of the fence, there’s virtually indisputable evidence that one core vaccine, given at or after 16 weeks of age, can last a lifetime – or, at the very least, 5 to 7 years. On the other side of the fence, there’s no evidence whatsoever that the core vaccines ever need to be repeated. By vaccinating annually, or even triennially, vets are ignoring valid and reliable research and clinging to a revaccination schedule that’s based merely on speculation and habit. And this includes the majority of vets. Wouldn’t you think that out of the thousands of vets giving vaccines routinely, that more than three would want to know how long they actually last? I don’t know why vets seem to be ignoring Dr Schultz’s work. Is it a deliberate act because repeated vaccination means more money? That might be true in some cases, but couldn’t vets replace that lost vaccine income with revenue from titers? Titer testing, a simple blood test that measures the circulating antibodies as a measure of immunity, could surely be used to draw pet owners into the clinics every year. Annual titer testing isn’t all that necessary either, but at least the risk is just a poke in the vein, not cancer, seizures or even sudden death. The only thing vets would be hurting is our pocket books and I’d be OK with that. They have to make a living after all. Do vets continue to over-vaccinate because they’re afraid? They might be. But to resist the only research done on vaccine duration of immunity and stick to a scientifically unproven schedule doesn’t jibe with that. Wouldn’t vets be eager to join the team with all the research on their side? Because if they’re afraid of the unknown, then they should run from annual vaccination like their hair was on fire. Granted, we might not know whether the core vaccines last for seven years or a hundred years, but we sure as heck know that they all last for at least five years. In the end, it’s not for me to say why vets continue to revaccinate on unscientific schedules. But when they urge us to vaccinate more often than necessary, are they being untruthful with us or with themselves? Half of adult dogs today die of cancer. Many more are suffering from preventable chronic diseases that could very likely be caused by vaccines. Somebody needs to connect the dots, and soon. Our pets are counting on it. But at the heart of it, there’s an old Navajo proverb that I fear may be why vets aren’t letting go of over-vaccination.